Learn how to earn more income and create generational wealth through real estate investing as your Side Hustle! 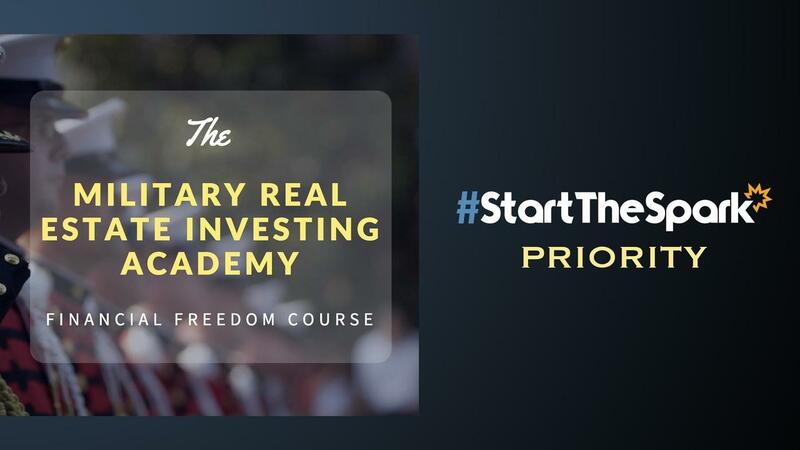 Get our Flagship course for only $197 by becoming a #StartTheSpark PRIORITY member! First 30 days of your membership is already included! Benefit #1: Bi-Monthly Musters - Group Video Coaching calls with our team twice a month!